After years as the head of Universal Music Publishing Group and peermusic Canada, Jodie founded CCS Rights Management; a company built on the philosophy of hard work, dedication and an artist-first attitude. 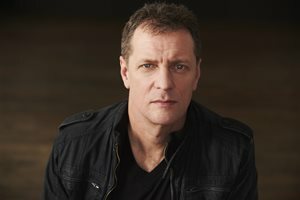 His roster currently includes, Terra Lightfoot, Sean McCann of Great Big Sea, Colin James, Glenn Gould and the TV properties PAW Patrol, Little Charmers and Rusty Rivots. He has worked with Sam Roberts, Jann Arden, Shania Twain, Avril Lavigne and Mars Bonfire of Steppenwolf. Over the years Jodie’s artists have received awards and accolades from the Juno Awards, SOCAN Awards, Country Music Awards, Much Music Video Awards, Grammy Awards and Latin Grammy Awards.